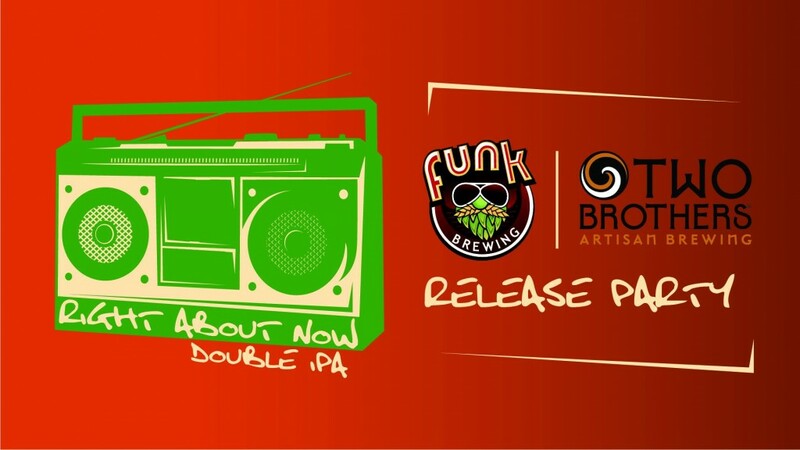 Funk Brewing Company in Emmaus is releasing a collaboration beer brewed with Two Brothers Brewing Company out of Chicago at their brewery this Saturday at noon. An 8.3% double IPA, “Right About Now” has aromas of papaya and fresh cut mango. It’s only available in draft, so belly up to the bar for a pint or 12oz glass and bring a growler along for fills. You might also want to stop by Friday evening, as Funk is previewing their latest canned beer, Tumble Weed, a 5.5% IPA described as “an aromatic dank and juicy east coast pale ale exhibiting pungent pine, citrus, and a hint of earthy spice balanced by a slight malty character.” It’s a good weekend to be at Funk. For more info on the release head over to the event page.